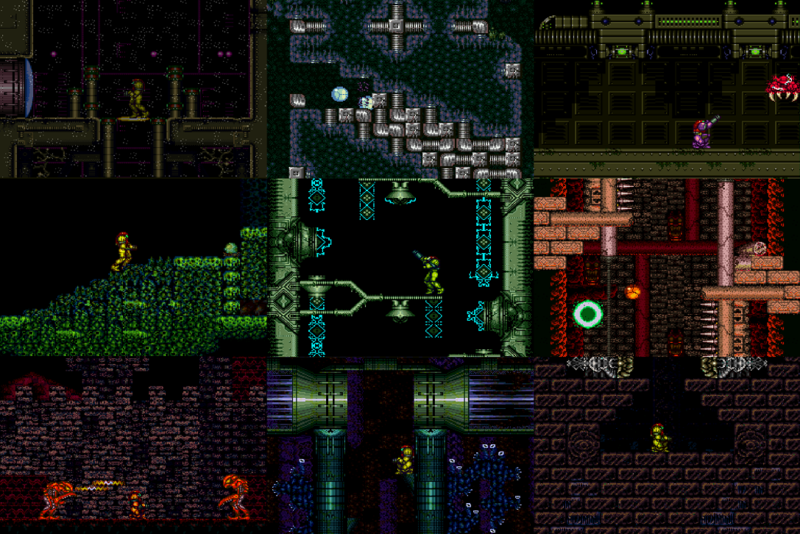 Super Metroid Cliffhanger was originally released June 26th, 2008.
and a renewed storyline. From top to bottom, everything has been updated. It was and is now at its core a challenge hack, a game to fire up and hone your skills. Secondly it tells a story, locate all 5 Chozodian Lores to complete the mystery behind Planet Uviol. This is indeed a challenge hack and savestates are probably needed for some parts. Tons of beautiful art is on display in this masterpiece. The Wrecked Ship's entrance shuts off after you enter it the first time, but there is a back path. Heat runs, interesting item progression, difficult puzzles, a pretty big world, and much more. If you consider yourself a good player, you should consider checking out this hack as it'll teach you some stuff. Super short charge is necessary.